Edwin J. Elton is emeritus professor of finance and scholar in residence at the Leonard N. Stern School of Business, New York University. 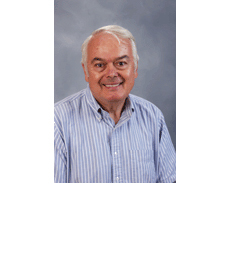 Professor Elton has authored or coauthored eight books and over 125 articles. The eighth edition of his book, Modern Portfolio Theory and Investment Analysis, is the standard textbook used in most leading graduate schools of business. His collected works in investments are published in two volumes by MIT Press and one by world scientific. He was formerly co-managing editor of The Journal of Finance. He has been a member of the Board of Directors of the American Finance Association and an associate editor of Management Science. Professor Elton has served as a portfolio theory and investment management consultant for many major financial institutions in Asia, Europe, and the United States. He has been a senior research fellow at the International Institute of Management in Berlin, visiting scholar at the European Institute for Advanced Studies in Management (EIASM) in Brussels and at Katholieke Universiteit Leuven. Professor Elton received the Graham Dodd award and The Roger Murray prize for research in investments and was named Distinguished Scholar by the Eastern Finance Association. He is a fellow of the American Finance Association and The Institute for Quantitative Research in Finance. He is a former president of the American Finance Association (1996).